The show’s Twit is here. PRODUCER: You were doing good, George. They never tell people “you’re a nice guy”. 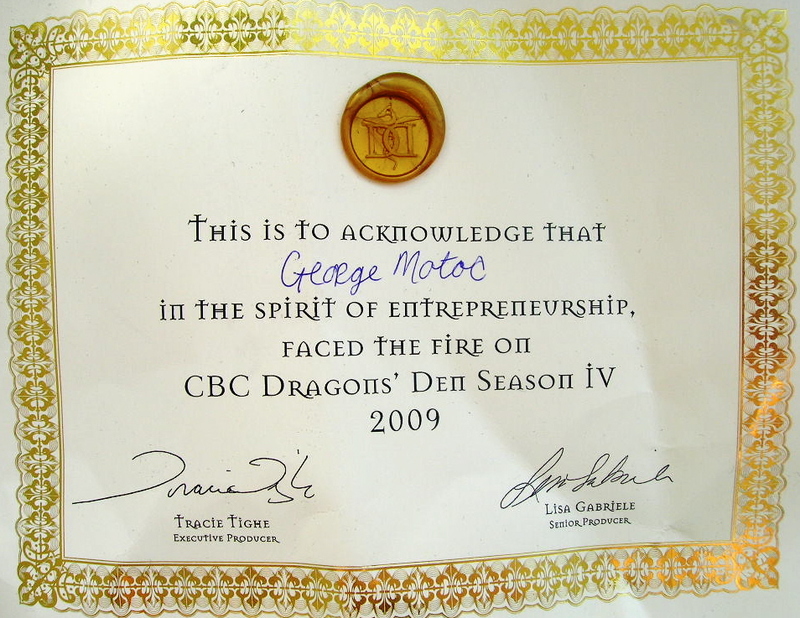 Thank you CBC for the opportunity, and thank you Dragons for the precious advice. Posted in English blog and tagged as 2009, CBC, cbcdragon, dragons den, game, George Motoc, show, television, Toronto, twitter.